Nobody wants to deal with wrinkles on their face. Even guys that claim they don’t care about things like skin care, and don’t buy skin care products, don’t want to look any older than they are. If you care about your skin, you probably already know that summer is one of the most potentially damaging times of year. That’s because most people spend a lot of time out in the sun, which produces its most intense UVA and UVB rays of the year in the summer months. Just because it is summer, doesn’t mean you have to just accept the skin damage that could come with the season though. Use this guide to help you keep wrinkles at bay this summer and throughout every other season as well. A lot of people buy and use moisturizer on a regular basis. Maybe not everyone puts it on every single day, but many people are diligent about using it. Keeping your skin supple and moist can help reduce fine lines and wrinkles, so we always suggest using a good facial moisturizer regularly. Using a quality moisturizer is even more important in the summer when your skin is likely to be very dry. Even if you live in a humid climate, chances are sweat, dirt and all that exposure to the sun will make your skin feel a bit parched. For the best results in the summer months, always apply a facial moisturizer with an SPF rating of 15 or higher. That way the delicate skin on your face will be protected even when you’re only outside for 10 minutes at a time. You’ve heard many times that you’re supposed to wear sunscreen whenever you plan to spend time in the summer sun. It’s not news to anyone anymore, but just because you know you’re supposed to, doesn’t mean you do it every time, right? It also doesn’t mean that you apply sunscreen the right way. Buy a high-quality, broad spectrum sunscreen with a minimum SPF rating of 30. While sunscreens over 30 can give you a little more protection, you’re usually playing a game of diminishing returns with your money. 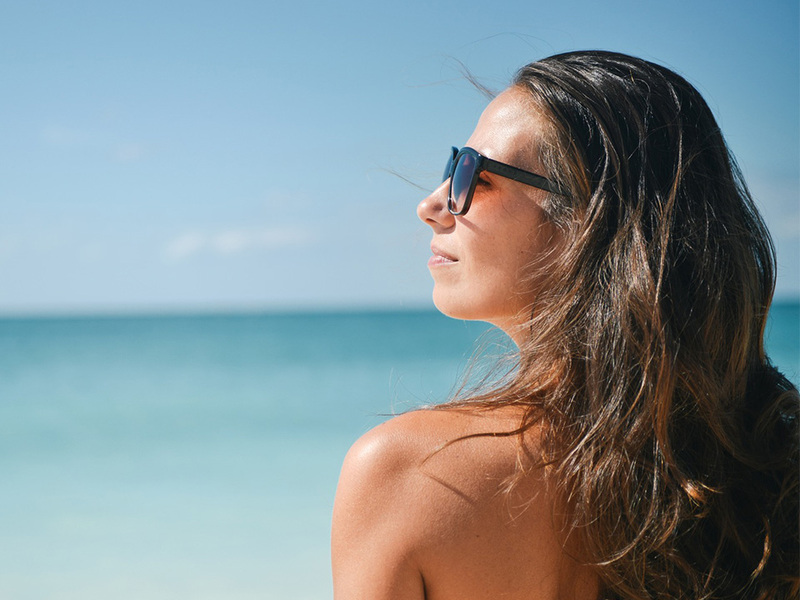 In most cases, it’s better to reapply SPF 30 more often than going for the SPF 50. To use sunscreen properly, start by applying it to your skin about 20 to 30 minutes before you leave the house. That way you’ll give your sunscreen time to dry and set in place. You’ll also want to reapply every 60 to 75 minutes or so after swimming or perspiring heavily. When it comes to sunscreen, more is always a good thing, so don’t worry about going overboard. Get a Pair of Sunglasses! Wrinkles around the eyes often pop up around the summer months because people spend so much time squinting. Over the course of a lifetime, you could develop some serious fine lines around your eyes. Buy a pair of sunglasses that allow you to see well without squinting. Pick a stylish pair and buy a quality case for them so they’ll always be handy. Get in the habit of wearing them when you’re outside and you won’t have to fight wrinkles quite as much. Visit Elite Serum Rx to learn more about how you can keep your skin wrinkle free this summer. Our product can reduce the appearance of wrinkles around your eyes and help prevent new lines from forming.